Looking for private in-home or in-studio Viola lessons? Our Brookline Village teachers are ready to get you started. Find your teacher today! A stringed instrument that is bowed or played with varying techniques. It is slightly larger than a violin and has a lower and deeper sound. 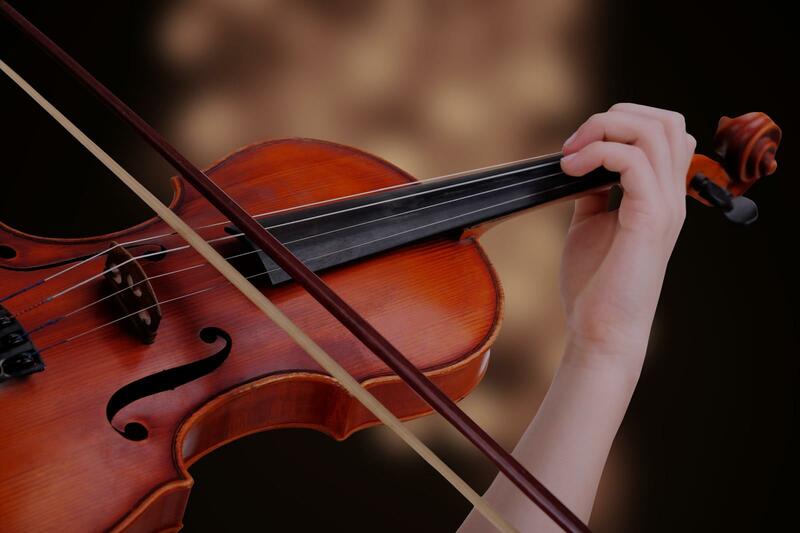 Since the 18th century it has been the middle or alto voice of the violin family, between the violin (which is tuned a perfect fifth above) and the cello (which is tuned an octave below. The strings from low to high are generally tuned to C3, G3, D4, and A4. My lessons always start out with the basics! We start out by learning notes by plucking the strings and then the bow is soon incorporated. The goal is to eventually learn all the notes on the fretboard and also learning how to read and play chords. As the student progresses advanced techniques are introduced, music theory and learning how to solo. I love the viola; I'm primarily a violist and love nothing more. I would love to share my passion with you or your child! I have a Master's degree in Viola Performance, and viola is my primary instrument. I have received extensive instruction on the minutiae of the viola, and can help you with any need that you many have! I tailor my approach to each student. Some students require more technical work, some require interpretive. Both are fascinating and can be taught with structure and clarity. Hi! My name is Martina and I am a classically trained violist. For my background, I received a Master of Music from Roosevelt University, where I studied with Lawrence Neuman of the Chicago Symphony. I received an undergraduate degree from the University of Wisconsin with Sally Chisholm of the Pro Arte quartet. The only thing I love more than playing viola is sharing the joy of music with others! I've received training on violin and viola and can't wait to start teaching you or your child. 1.) The student is getting exactly what he/she wants out of the lessons. 2.) The lessons are an appropriate difficulty for the student. 3.) A student's strengths and weaknesses are being addressed with a tailor-made lesson plan and long-term goals. I can provide a stand. Student is responsible for purchasing an instrument, and any sheet music. I can definitely advise on an instrument to purchase and will instruct with specific music requests. She is nice and good violin's teacher for my daughter 5 yrs old that she is a beginner in the violin instrument. Since my son began working with Martina, he has progressed by leaps and bounds. Martina is very professional and wonderful with my child!! She’s prompt and reliable. We love her! Martina is an accomplished musician who has an awesome professional teaching method that makes my daughter feel extremely successful after each lesson. I love how the viola sounds. I teach in all music styles and music genres from classical to contemporary to improvisation to solo dynamics etc. The viola is a great instrument and I love teaching the viola to people who love it. With the rich, beautiful sounds of the viola I teach my students how to bring out the best in themselves and the instrument. As a potential student, I would like to let you know that I have experience teaching musicians of very different levels of playing and backgrounds. From beginners, to professional musicians, and if you are interested, I could teach you in Spanish as well. For students who this might be your first contact with music, I could also introduce you to the viola or violin, little by little. My only request is that you would need to be interested and passionate about it! I promise you that it you dedicate some time and effort, you will enjoy playing much more after studying with me. Let's do it!!! The Spanish violist, Dr. Ignacio Cuello, has developed an international career as a viola performer and teacher, in Europe, United States, China, and Russia. His collaborations include faculty chamber music recitals with members of the Music Academy of the West, the Cleveland Orchestra, the Cleveland String Quartet, the Cleveland Institute of Music, and West Virginia, Penn State, and Columbus State universities. Also, as an avid performer of new music, Ignacio has performed over-the-edge chamber music compositions such as Marcus Balter’s, Codex Seraphinianus, and premiered pieces such as Mechanics for two violas, by Sixto Franco Chordá, and Dark Bagatelles, op.23 for viola and piano, by Ximo Tarin Micó. hony Orchestra, the Lancaster Symphony, the Endless Mountain Music Festival, the West Virginia University Symphony Orchestra, the Inter-Regional Orchestra, the Catalonia College of Music Symphony Orchestra, and the Cleveland Institute of Music Symphony Orchestra. As a section violist, he has collaborated with ensembles such as West Virginia Symphony, River Cities Symphony, Johnstown Symphony, Mansfield Symphony, Erie Philharmonic, the Young Orchestra of France, and Spain, and the European Student Chamber Orchestra. Besides his performance career, he currently holds a position of Manager, Librarian, and String Coach at the Pacific Academy Foundation Orchestra, in Irvine, and string faculty at 88 Keys Music Academy, in Arcadia. Dr. Cuello has lead masterclasses at the Monzón Conservatory of Music (Spain), the Pittsburgh Music Academy, and West Virginia University. During his doctoral studies, he held the Graduate Teaching Assitant position of Andrea Priester Houde at West Virginia University, and joined the faculty at the Viola Bootcamp at WVU, the Endless Mountain Music Festival, Inland Empire Musical Arts, Budda's Light Youth Symphony Orchestra, and Pacific Academy Foundation Orchestra, among others. He has lead viola sectionals for All-State Orchestra in Wheeling Park High School, West Virginia University Symphony Orchestra, and for the Budda's Light Youth Symphony Orchestra Winter Camp. Ignacio holds a DMA degree in viola performance from West Virginia University, a Master's degree in viola performance from the Cleveland Institute of Music as a student of Jeffrey Irvine, a Graduate Certificate in viola performance from the University of Southern California, as a student of Donald McInnes, and a Diploma and Undergraduate degrees in viola performance from the Catalonia College of Music (ESMUC), as a student of Ashan Pillai and Enrique Santiago. My name is Maggie. I recently earned my Master’s degree in string performance at Boston University. I have won many prizes as a soloist. As an orchestra musician, I have been playing for 10 years. I have been working as a music teacher for 9 years. I have taught violin, viola and beginner piano lessons. I love developing students love for music. I greatly enjoy teaching music students and sharing my love for music with them. "Jill is an excellent instructor. She is patient and funny. Kind and informative. She is highly knowledgeable and one of the first Suzuki kids." "Maggie is a fantastic teacher." Boston, MA teacher: Maggie Z.